The Iconic Dr Allama Iqbal like a shining star attracted the best of intellectuals in the region. 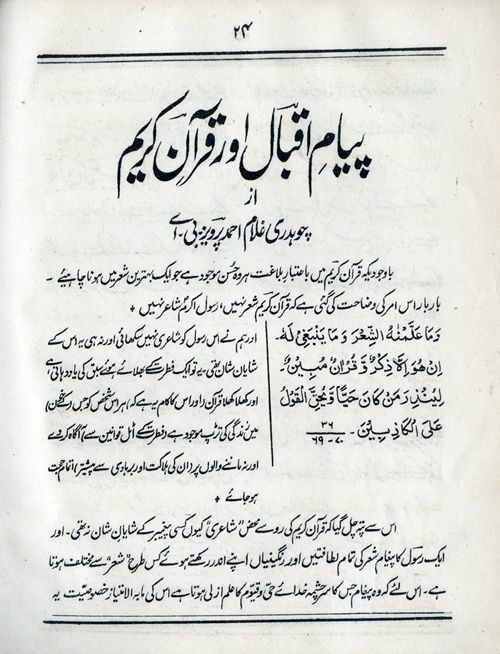 Open minds worked on Iqballian themes and as Allama Iqbal himself, repulsed the reactionary forces of the Mullah syndrome. Today the Mullah is forced to talk to an extent in Iqballian terms but only as a form of hypocrisy. Iqballian ideas repulse the Mullah as well as the so called Seculars, both two sides of the same coin. In the lifetime of Dr Allama Iqbal an Inter collegiate Muslim Brotherhood was formed and each member did his dues in light of Iqballian ideas. One such person was Chaudary Ghulam Ahmad Pervaiz, the bane of most Mullahs of the region. According to Pervaiz Sahib himself, he was instructed by Dr Allama Iqbal himself, to carry out research on progressive Islamic ideas in the spirit of Ijtehad of the times. 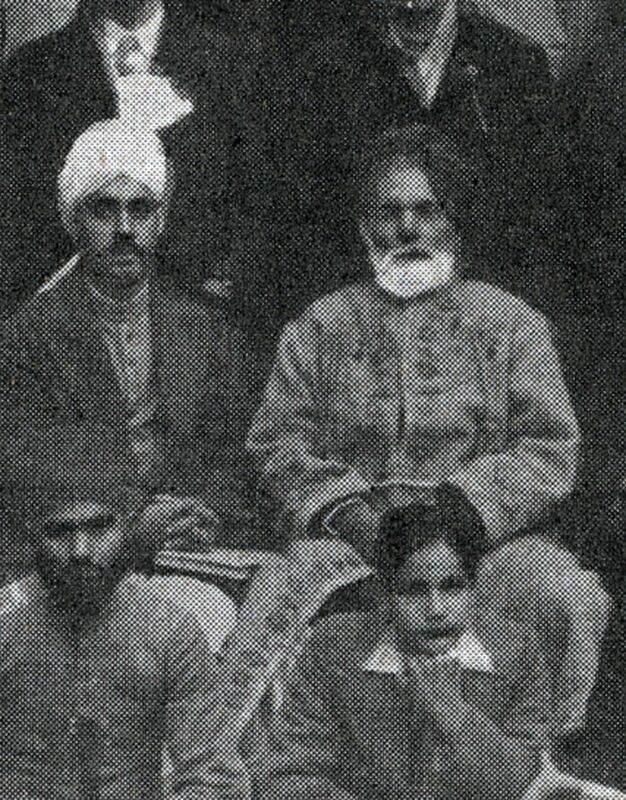 Pervaiz Sahib started contributing to Tolu Islam, which was started by Syed Nazeer Niazi in 1935. Later he himself took over Tolou Islam in 1938 and it is published to this day. 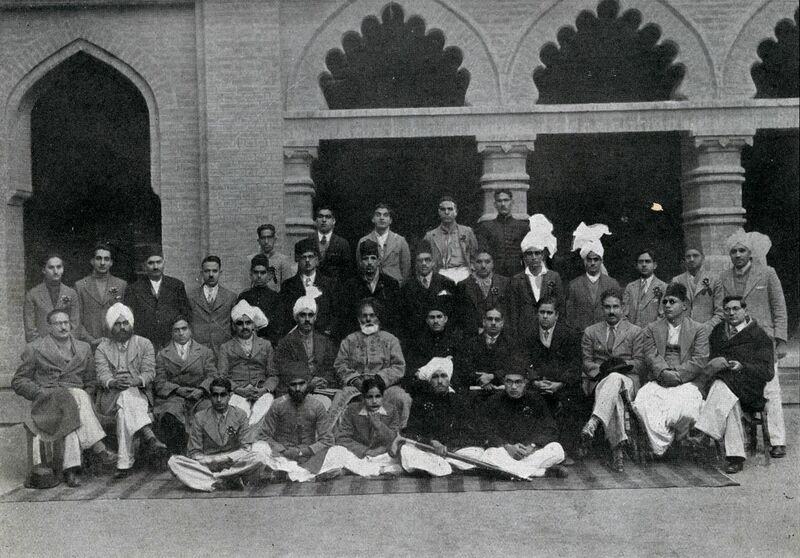 An Inter collegiate Muslim brotherhood was formed in the life time of Dr Allama Iqbal and we present a photograph of its assembly on 9th January, 1938. Javad Iqbal is in it but the iconic Dr Iqbal himself cannot be seen, due to his illness. Missing persons like Dr Abdullah Chaghatai and Abdur Rahman Chughtai artist are not there, for both of them, were in Europe at that time. I think such visual imagery is deliberately missing in the media to curb the renaissance spirit of Islam and to engender extremist views of the Seculars and the Mullahs, both two sides of the same coin. Pakistan was not made for these MULLAHS. They asked Fifty thousand Rs from Quaid e Azam who rejected them out right. When Pakistan was made, they were sent by NEHRU to make life miserable for Pakistan. And however much they tried, the general population rejected their concept of out outdated values not fit for the times. The Islam that Quran Shareef preaches is out of their intellectual capacity. 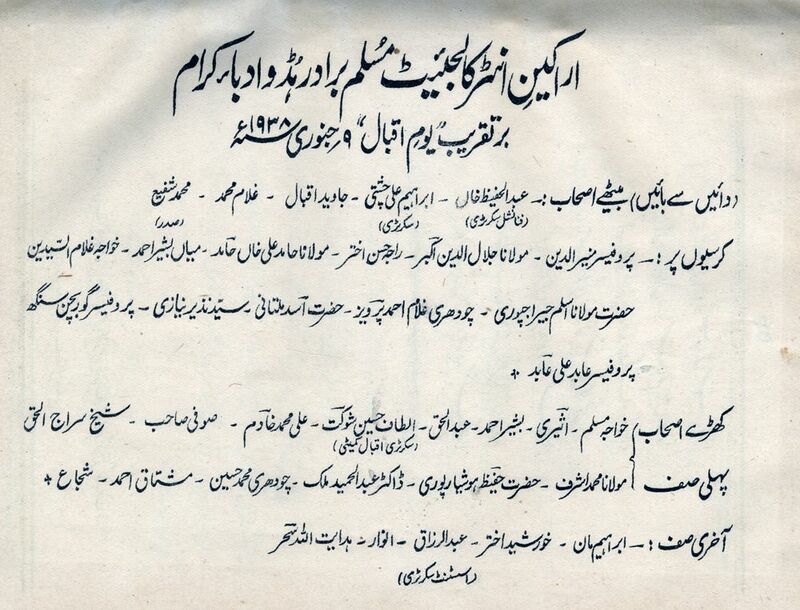 Lahore had Maulana Ghulam Murshid and Maulana Muslim as thinkers of progress. Ghulam Ahmad Pervaiz started his revolution from Delhi, then Karachi and then Lahore. HE is buried in Lahore and was the greatest Islamic thinker of the times who continued Iqballian. Vision. May ALLAH (swt) reward him for his efforts.